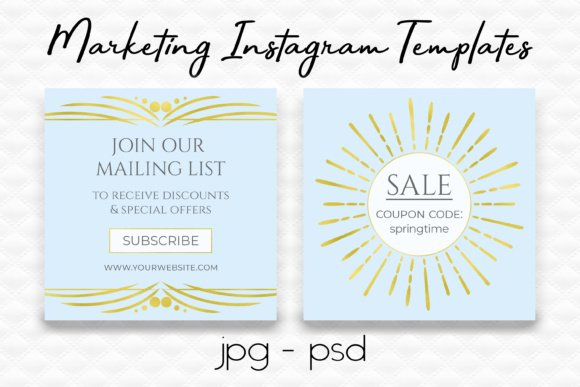 Keep your Instagram feed cohesive with this collection of 6 art deco Instagram templates! Can be used on Facebook, Twitter and websites. 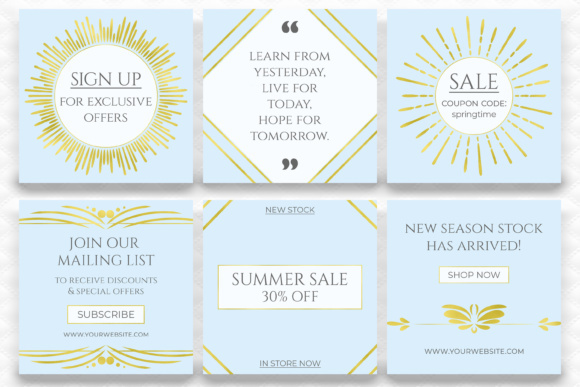 – 6 x square JPG Images (1200 x 1200px) – no text – ready to overlay your text and logo onto. – 6 x PSD Files (1200 x 1200px) – text, font, and colors can be changed if you have Adobe Photoshop and a sound knowledge of clipping masks.